The Oregon PUC permit is our specialty here at Sky Transport Solutions. Our staff is very familiar with the process of obtaining a Oregon PUC permit. Our staff will work with you quickly and efficiently, we will get all the required paperwork in place. Send us your Telephone Number and we will contact you and explain all our services and answer any questions you may have regarding Oregon PUC Permits. The heavy motor vehicle trip permit (Oregon PUC Permit) allows operation of unregistered motor vehicles that have a registration weight (loaded or combined*) over 8,000 pounds and for self-propelled fixed load vehicles regardless of weight. * Combined weight means the weight of the vehicle or combination of vehicles and the maximum load it will haul. The Oregon PUC which stands for Public Utilities Commission and this is the commission that regulates fuel taxes. When a truck purchases fuel in the state of Oregon they are responsible for paying the fuel taxes. In Oregon trucks will require a PUC card (number) and a log book to show fuel usage. You then pay the fuel taxes either monthly or quarterly. Oregon PUC trip permit will be issued after some of the following requirements are met. Verification of public liability and property damage insurance and or indemnity bond may be required at the discretion and in the amounts determined by the granting authority. 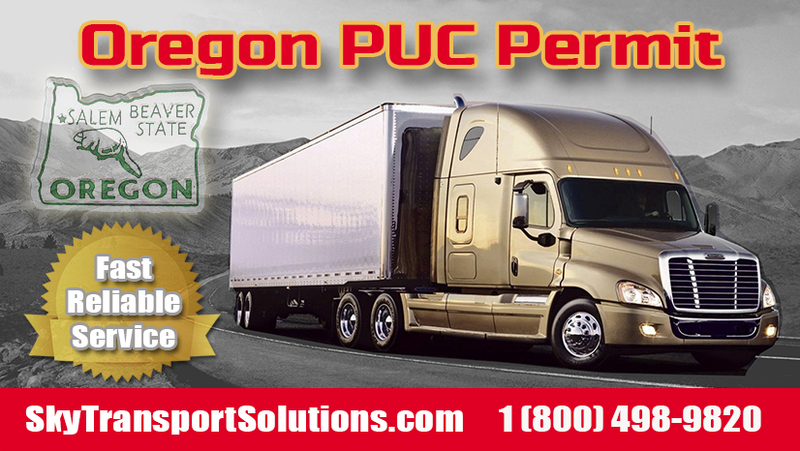 You’ll need to have this to get your Oregon Carrier File Number (a/k/a OR PUC), but it is a simple process which can be done the same day as ordering your truck permit. Sky Transportation Solutions will take care of everything just have all your insurance information handy when you talk to us.